The travel sector is highly competitive, and a highly interesting sector to design for. There is the obvious need for effective and efficient search and transactional components, but also the need to support the customer during their holiday selection process. This is achieved by providing appropriate features, functions and content that inspire, persuade and also hit an emotional sweet spot. Even the experience of booking can be seen as a key part of the holiday! Our initial engagement with Virgin Holidays was for a tactical project aimed at improving the online experience and benchmarking their experience against competitors. To do this, we performed an expert evaluation and a round of usability testing. This work quickly established that there was a number of issues that needed to be addressed with high priority. 6 of our 10 priority recommendations were implemented in the two weeks following the testing and this resulted in a 90% increase in conversions in the weeks that followed. 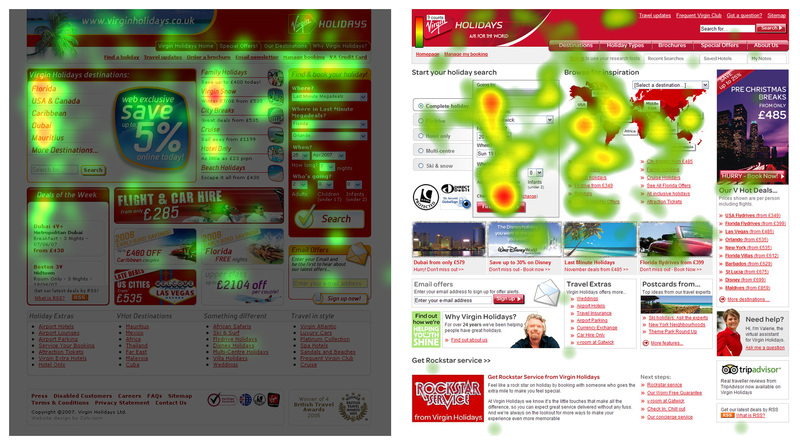 Following the establishment of the positive effects of usability best-practice on the business, Bunnyfoot was commissioned to perform a more extensive User-Centred Design (UCD) project for the main Virgin Holidays site. Improvements made as a result of the UCD project resulted in a 140% increase in conversions, increases in decisions to upgrade and upsell flights and rooms, and dramatic improvements to measured customer satisfaction for the online channel. Following the UCD project, Bunnyfoot was then retained as exclusive user experience supplier in a rolling 12-month contract, which delivered ‘on-call’ UX expertise and design support to Virgin Holidays, as well as regular benchmarking exercises against competitors, ongoing testing of new components as they were introduced, and support for other sites across the group.